Pedro Castle, Thursday, 9th December 2010, 6.00 p.m.
A solstice is an astronomical event that happens twice each year when the Sun's apparent position in the sky reaches its northernmost or southernmost extremes. The name is derived from the Latin sol (sun) and sistere (to stand still), because at the solstices, the Sun stands still in declination; that is, the apparent movement of the Sun's path north or south comes to a stop before reversing direction. The winter solstice occurs exactly when the Earth's axial tilt is farthest away from the sun at its maximum of 22 1/2° 26'. Though the winter solstice lasts only an instant in time, the term is also colloquially used as midwinter or contrastingly the first day of winter to refer to the day on which it occurs. More evident to those in high latitudes, this occurs on the shortest day, and longest night, and the sun's daily maximum position in the sky is the lowest. The seasonal significance of the winter solstice is in the reversal of the gradual lengthening of nights and shortening of days. 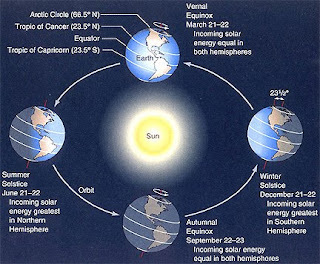 Depending on the shift of the calendar, the winter solstice occurs on December 21 or 22 each year in the Northern Hemisphere, and June 20 or 21 in the Southern Hemisphere. Worldwide, interpretation of the event has varied from culture to culture, but most cultures have held a recognition of rebirth, involving holidays, festivals, gatherings, rituals or other celebrations around that time. 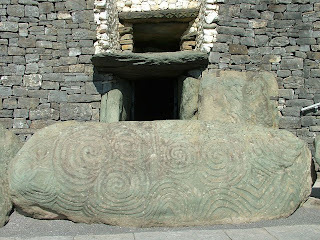 The primary axes of both of these monuments seem to have been carefully aligned on a sight-line pointing to the winter solstice sunrise (New Grange) and the winter solstice sunset (Stonehenge). The winter solstice may have been immensely important because communities were not certain of living through the winter, and had to be prepared during the previous nine months. Starvation was common in winter between January and April, also known as the famine months. In temperate climates, the midwinter festival was the last feast celebration, before deep winter began. Most cattle were slaughtered so they would not have to be fed during the winter, so it was almost the only time of year when a supply of fresh meat was available. The majority of wine and beer made during the year was finally fermented and ready for drinking at this time. The concentration of the observances were not always on the day commencing at midnight or at dawn, but the beginning of the pre-Romanized day, which falls on the previous eve. Before the scientific revolution many forms of observances; astronomical, symbolic or ritualistic, had evolved according to the beliefs of various cultures, many of which are still practiced today. 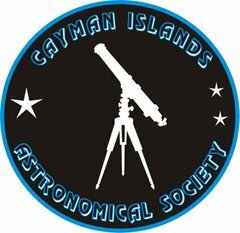 Weather permitting, this is how the sky will look on the observing night. The Summer Triangle can still be clearly seen. It is an astronomical asterism involving an imaginary triangle drawn on the northern hemisphere's celestial sphere, with its defining vertices at Altair, Deneb, and Vega, being the brightest stars in the three constellations of Aquila, Cygnus, and Lyra The Great Square of Pegasus is overhead, with bright Jupiter to the south.